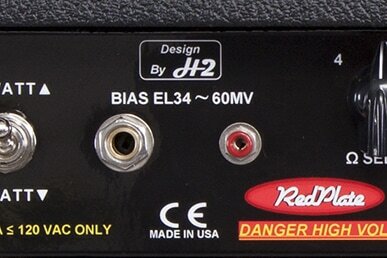 We are often asked if RedPlate Amps can be built for use outside of the USA. The answer is absolutely! Whatever your voltage requirements, we can meet those specifications at the time of the build. Be sure to give us the information when we contact you after your deposit is paid. Master Volume Control: If you put a volume pedal (preferably one that is buffered, as to not load down the amp signal) into the loop, you can control obviously your volume; however, it is right before the power section so it has no bearing on the sound or amount of gain from the preamp, just volume. This way, you can use your guitar volume to roll back/ease up on gain or punch on the front end, and use the volume pedal in the loop as a master volume control. You can back off for rhythm playing and toe down for a solo “boost”. Solo Boost: If you put a clean boost pedal in the loop, you can use it as a solo boost whenever needed without changing the tone of the amp unless, of course, the boost pedal changes the tone. Stereo Effect: The loop return jack is also great for accessing just the power section of the amp. For example, if you were running two RedPlate amps, you could create a stereo effect. Using one as your main amp, send from the main amp to a stereo delay and return from the delay to the main amp return and the second amp’s return. Now, the second amp has the preamp sound of the main amp, but is working as a power amp for the stereo effect. Warming Digital Modeling Gear: If you are trying out some modeling gear and want the digital preamp to have some warmth and tone, try taking the output of said unit into the return of the amp. Now, set your master volume as needed, and listen to the digital tone take on the big blossoming tone of an all-tube power section. Most importantly, experiment and have fun. Have any suggestions? Leave them in the comments below or on our Facebook page. Caring for your RedPlate is simple. There are really two kinds of owners: those who want their amp to look new for as long as possible and those who prefer to let their amp show its use as it ages. If you like the aged look, you can skip the first paragraph below. To keep your RedPlate looking new for as long as you can, regular cleaning can help. We recommend a soft microfiber cloth, Sprayway (or other ammonia free product) and WD40. The Sprayway can be used to clean all parts of the amp from the panels to the covering, just remember to always put the product on the cloth and then apply to the amp. If you have a tolex covered amp and want it to shine, put one part WD40 and two parts Sprayway on a microfiber cloth and wipe down all of the tolex areas. Do not apply WD40 to the panels or chassis. If you have a raw tweed covered amp, a quick vacuum using the brush attachment that comes with any household vacuum is your best bet. 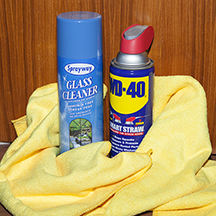 If you spill or stain the tweed, you can try Sprayway or a lightly damp cloth to blot at the stain, but do not use WD40. 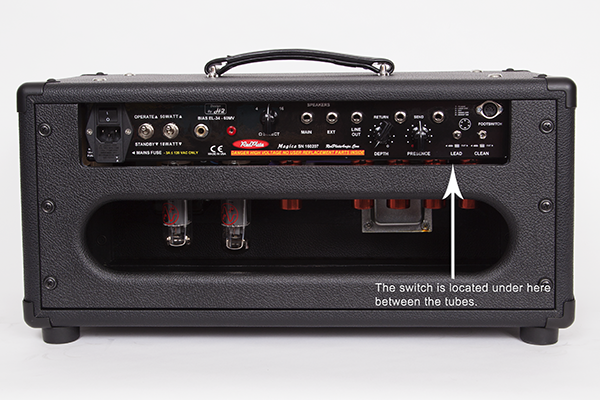 If you gig regularly or travel with your RedPlate on a consistent basis, we suggest checking the bias on your amp monthly. Obviously, you will need to use your judgement based on your usage. 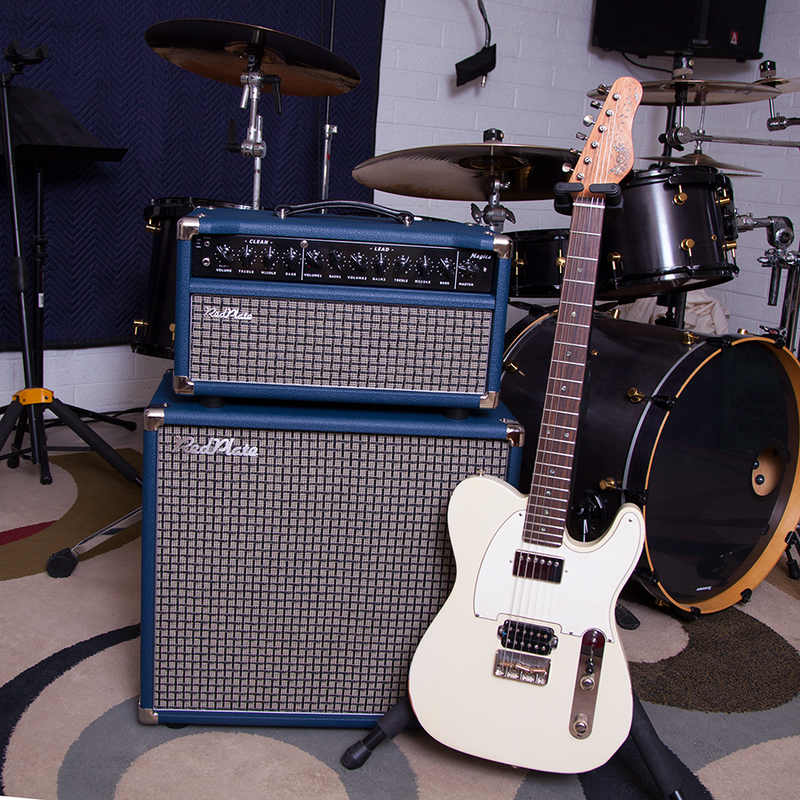 For an amp in a studio or home setting that is not moved frequently, checking bias quarterly should be enough. Should the tone of your amp begin to sound dull or have more unwanted noise than normal, it may be time to replace the tubes. We do sell replacement tubes here at the shop, but there are plenty of online retailers who do as well. 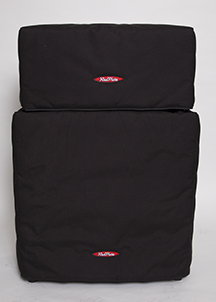 When the amp is not in use, we recommend a custom cover to help fight dust, accidental damage and spills. The folks at Studio Slips make great covers, fitted to your RedPlate that feature the RedPlate logo on the face of the cover. A great way to protect your investment. We handcraft RedPlate amps to last a lifetime, and with a little care, your amp should be a lifelong partner in tone! Here are some simple directions on to accomplish this task. Using a multi-meter, preferably a digital unit, set the meter to DCmV (the 200 range, if you have to choose on your model). Turn on the amp, turn down the master volume, and take it out of standby and place into operate mode. ​Let the amp run for a few minutes. Take the red lead of your meter and place it in the red tip jack on the back of the amp. Place the black lead on a screw head on the amp. We like to use one of the four screws that hold the amp in the cabinet as those screws go to the chassis ground. Check your bias reading and adjust with a small flat blade screwdriver in the adjustment potentiometer on the back panel next to the tip jack. For 6L6 amps, 76mV should be on target. For EL34 amps, 60mV should be on target. Put your tools away, crack open a cold one and enjoy the sound of your amp. Remember to check bias periodlically as the tubes “break-in” and wear. What makes hand-wired amps different than those with circuit boards? Not having trace circuits allows us to install tone in the amp at the bench. We can tweak and fine tune the sound as we go, or if need be, we can easily change parts without destroying the board or the wires. Hand drilled eyelets allow us to use full-size capacitors and resistors that add depth of tone with which circuit boards cannot compete. The point to point wiring affords some wires to stay away from one another while allowing proximity to others enhancing the sound resulting in Amps That Sing! We snapped a few quick shots of boards yesterday while they were being cut and again today while they were being wired to show you their individuality and (we think) beauty.